Our Guild presently supports 4 Community Service sites: Truman Medical Center Newborn Nursery, Ozanam Residential Teen Center, Hillside Nursing home in Desoto, KS and Sunflower House. Thanks to all of the members who have contributed in any way to getting these quilts completed. It takes many hands and many hours to finish this many quilts but they are greatly appreciated by the various organizations that have received them! 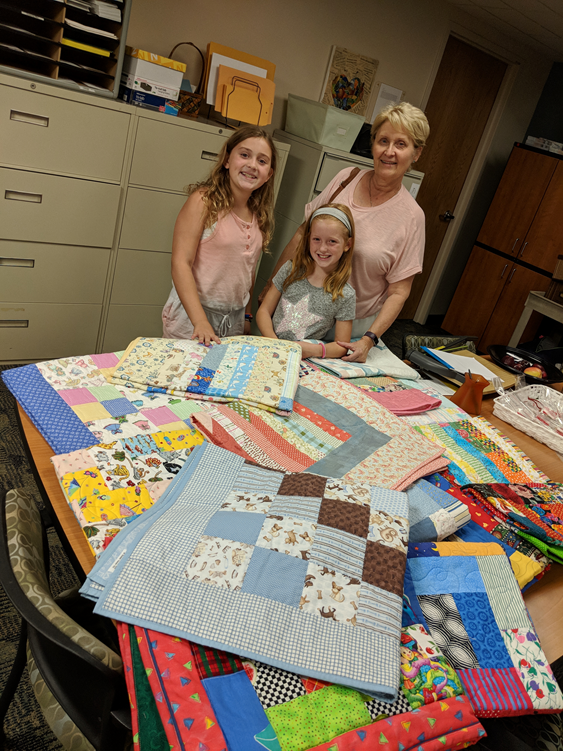 In September, 2018, 17 twin size quilts were delivered for the residents. The guild contributes baby quilts to the newborn nursery. They are dispensed to patients by the nursing staff. A total fo 55 crib size quilts plus 10 baby afghans were donated in 2018. 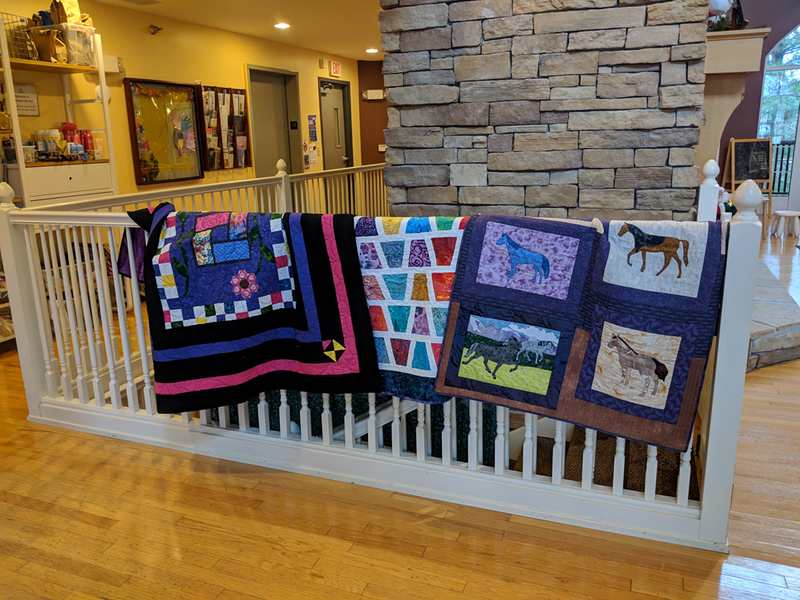 Sunflower House - 3 quilts were donated in 2018 to be auctioned at their fundraising event. Hillside Village Nursing Home - 7 adult lap quilts (30" x 36" wheel chair to sofa throw sizes) and 8 walker bags were donated in 2018.